Although educators see the potential of mobile documentation as a tool to enhance communication between children and parents in early childhood, very little empirical research has been conducted on how parents use it. 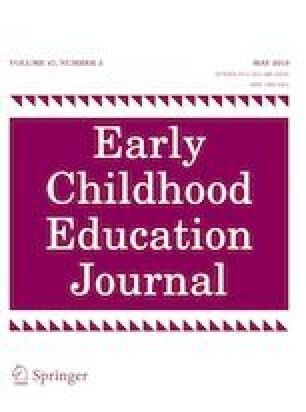 The purpose of this survey study was to investigate parents’ use of mobile documentation in a Reggio Emilia-inspired school. Specifically, we investigated to determine whether the pattern of using mobile documentation is different in fathers and mothers. A total of 274 parents (103 fathers and 171 mothers) from nine classrooms in one Reggio Emilia-inspired school participated in the survey. The independent samples t test and Chi square statistics results showed significant differences in use of mobile documentation by fathers and mothers. Mothers checked it more frequently, left messages more often, and shared the information provided with extended family more than fathers. A discussion of patterns of using mobile documentation is provided. Did you install the mobile documentation app in your cell phone? If you did, how often do you read mobile documentation per week? Have you ever left a message by using “My Child’s News” on the mobile documentation app? If you said yes above, how often did you leave messages per semester? Have you ever used Q&A on the mobile documentation app to ask the teacher questions? How often did you ask questions per month via Q & A on the mobile documentation app? Have you had a conversation with children about the mobile documentation? How often did you have a conversation with your child with mobile documentation? Have you shown the documentation about your child’s activities to extended family (e.g., grandparents or friends)? Where do you usually read your child’s mobile documentation? What did you like best while receiving documentation on a regular basis via the mobile app? What would you suggest to improve your experiences with mobile documentation app? Poushter, J., Bishop, C., & Chwe, H. (2018, June 19). Social media use continues to rise in developing countries but plateaus across developed ones. Retrieved from http://www.pewglobal.org/2018/06/19/social-media-use-continues-to-rise-in-developing-countries-but-plateaus-across-developed-ones/#table.